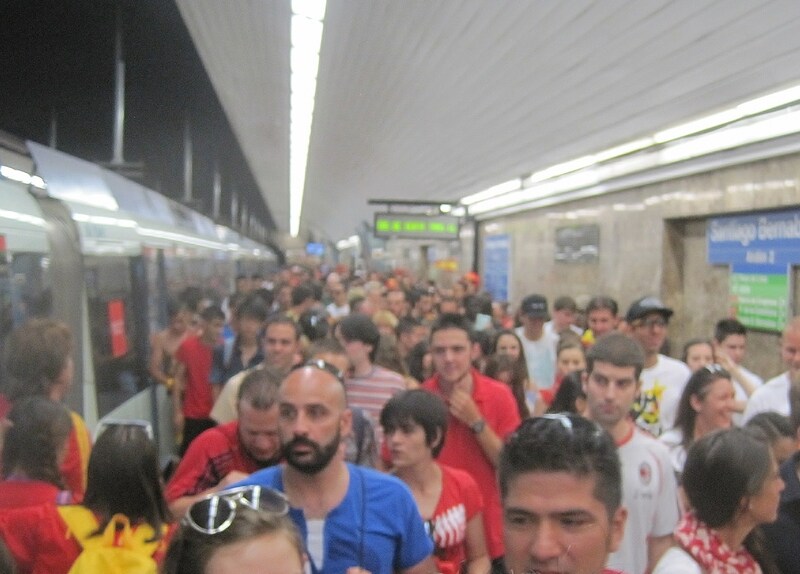 Fans spill out of the subway on the way to the stadium. In “line” to get into the plaza. Posting up in our spot. Note the DJ on screen… the stage was in front of the big screen to the left and behind the one we would be watching. 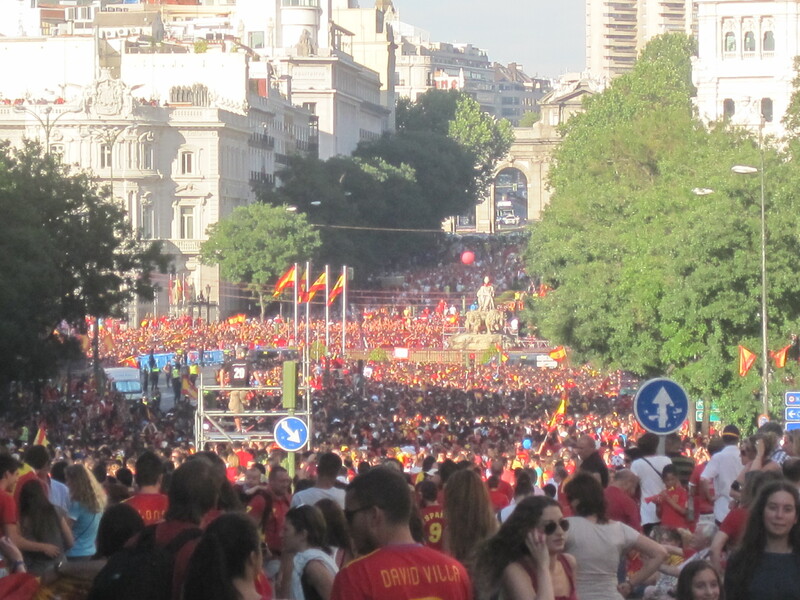 Also, this was about two hours before the game was going to start. 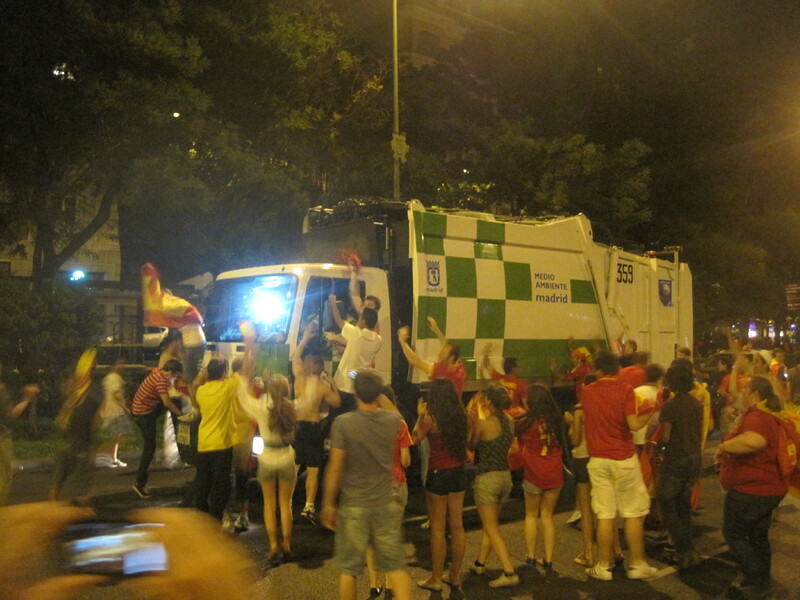 Partying with a garbage truck. 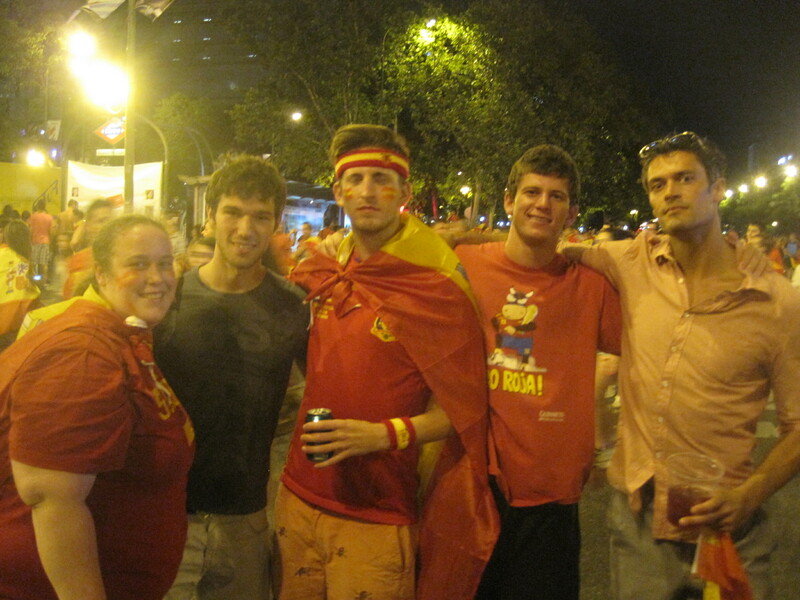 Myself and the four American kids I watched the game with during the march back down to the plaza. 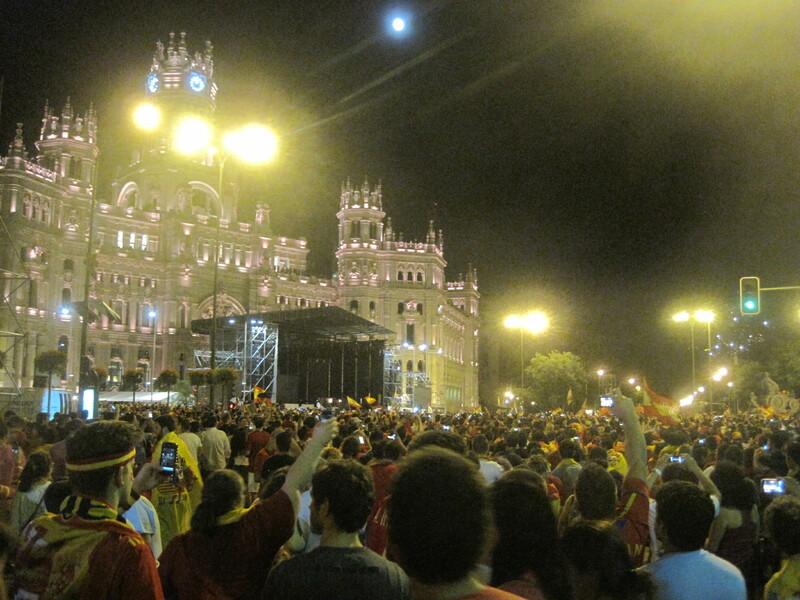 The crowd made it’s way down to the plaza for some more spontaneous partying (this went on all night by the way). 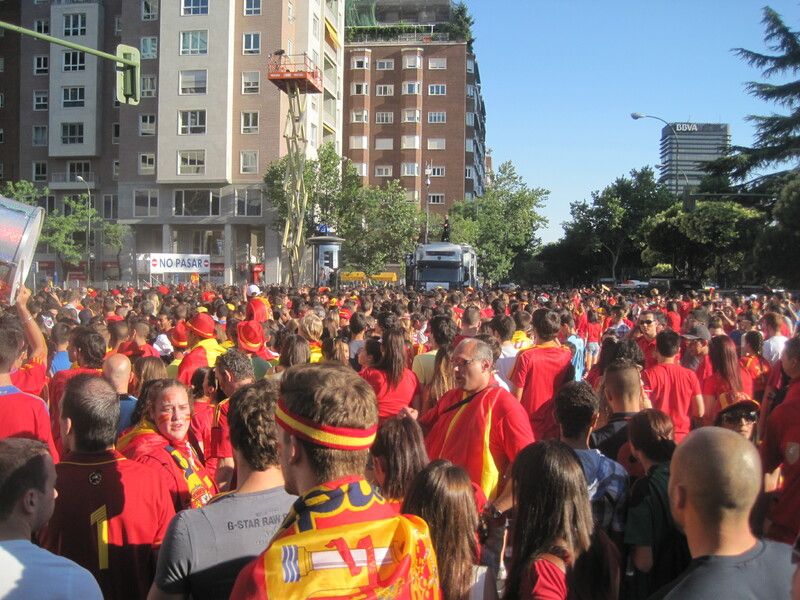 The next day had the official parade (ending in the same plaza). 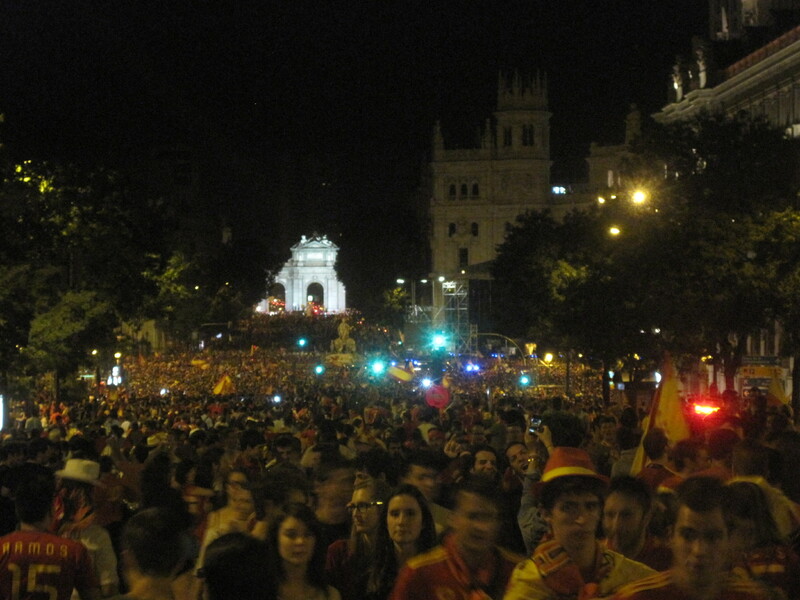 The celebrations, again, were huge, went on all night and had same feeling of collective joy in the air. 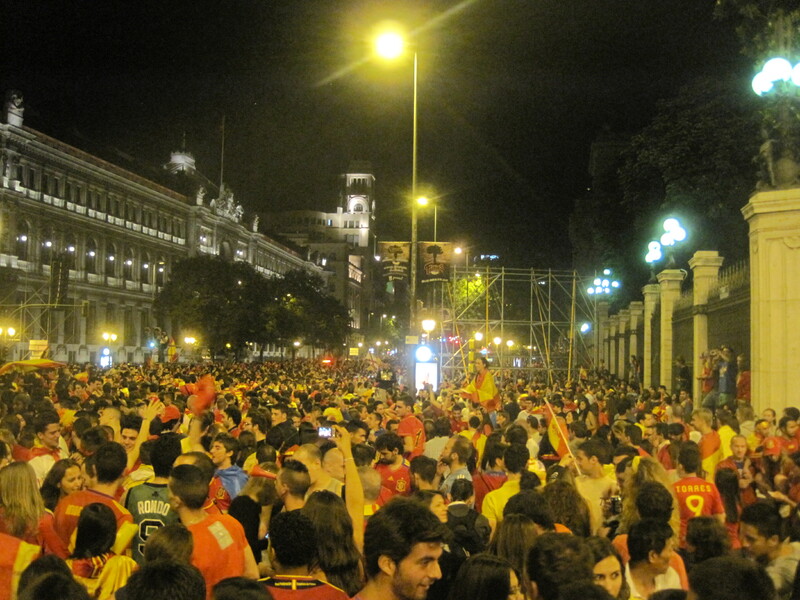 Looking down the parade route toward Plaza de Cibeles. 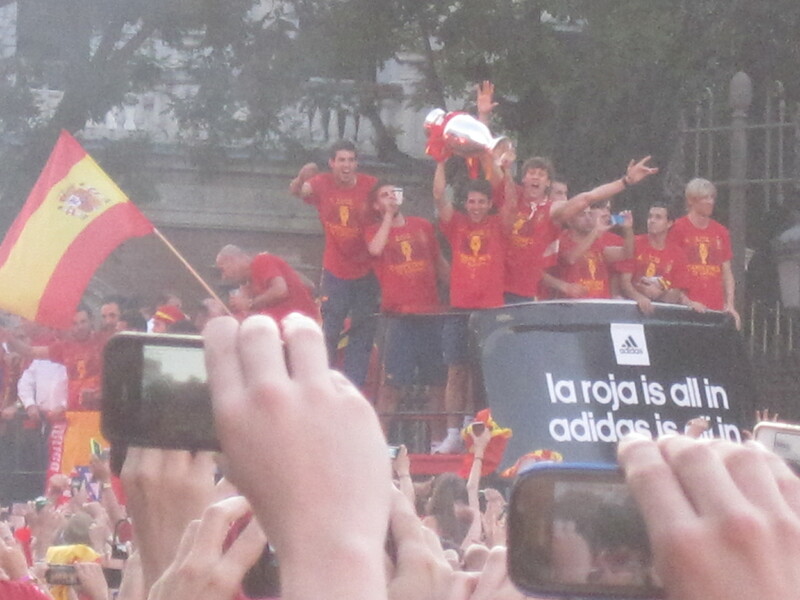 The Spanish team with the Euro Cup trophy. 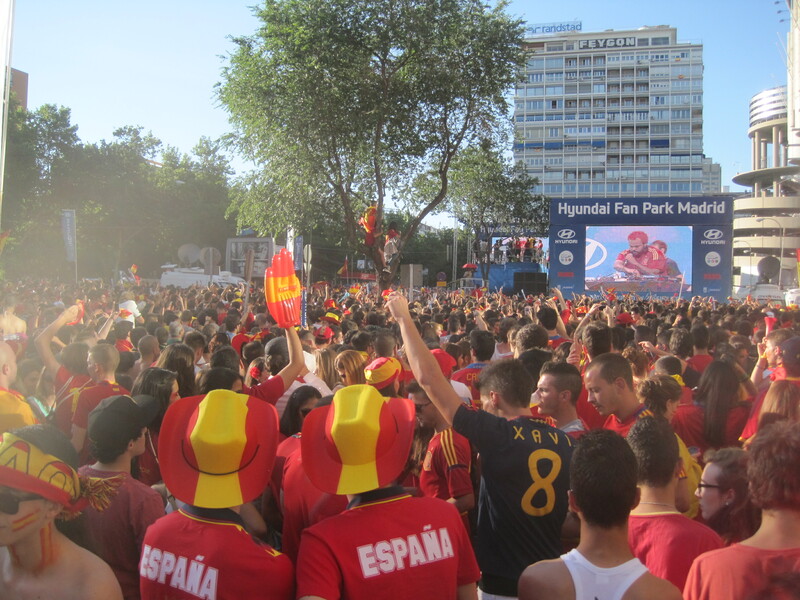 What a weekend in Madrid. 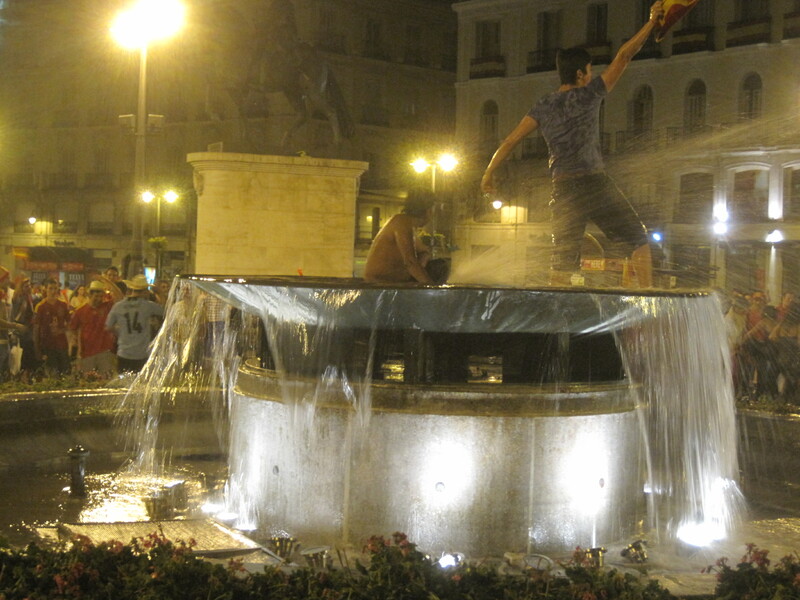 This entry was posted in Spain by Richard. Bookmark the permalink. Wow bro, what a trip! Bob gave me the blog so I’ll check out ur other excursions! Be safe and have fun so we can chat when ur back man. 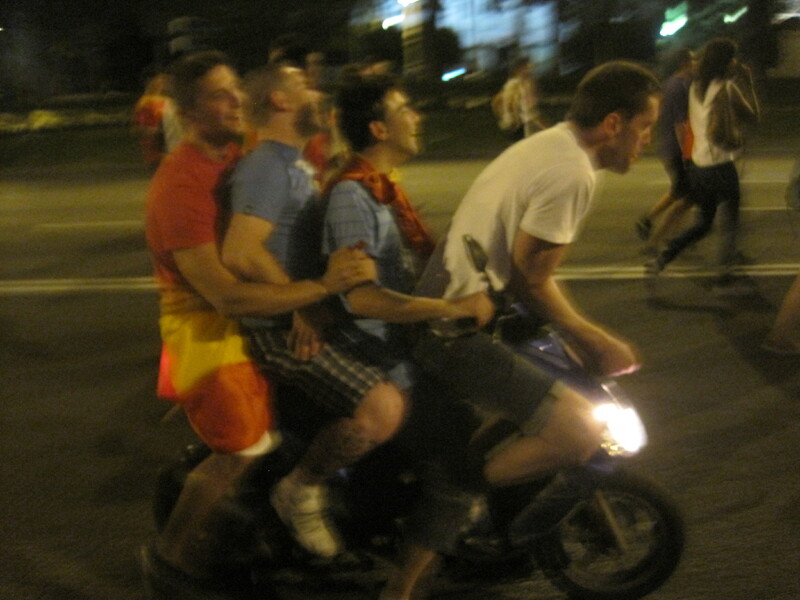 Dudes on a Moped pic is awesome funny. Glad you are well Richard. Was worrying about you for no good reason obviously. Short person hug from Andover. Clearly you are still dashingly handsome 🙂 Short person hug from Grants Pass.